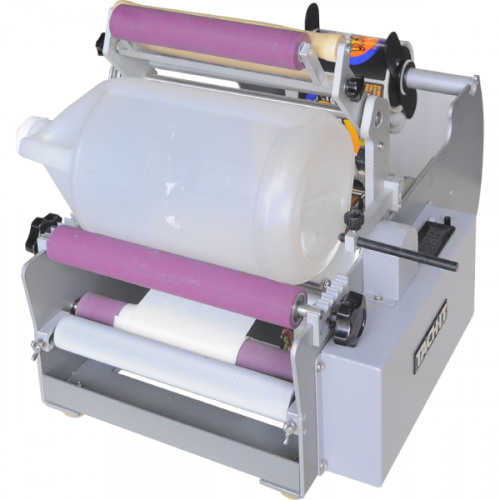 Economical Semi-Automatic Label Applicator for Bottles and Cylindrical Products. A simple push of the button on the front of the machine applies a label smoothly and consistently to a bottle or round product. Perfect for lower productivity bottling stations and also as a back-up unit to fully automatic systems. 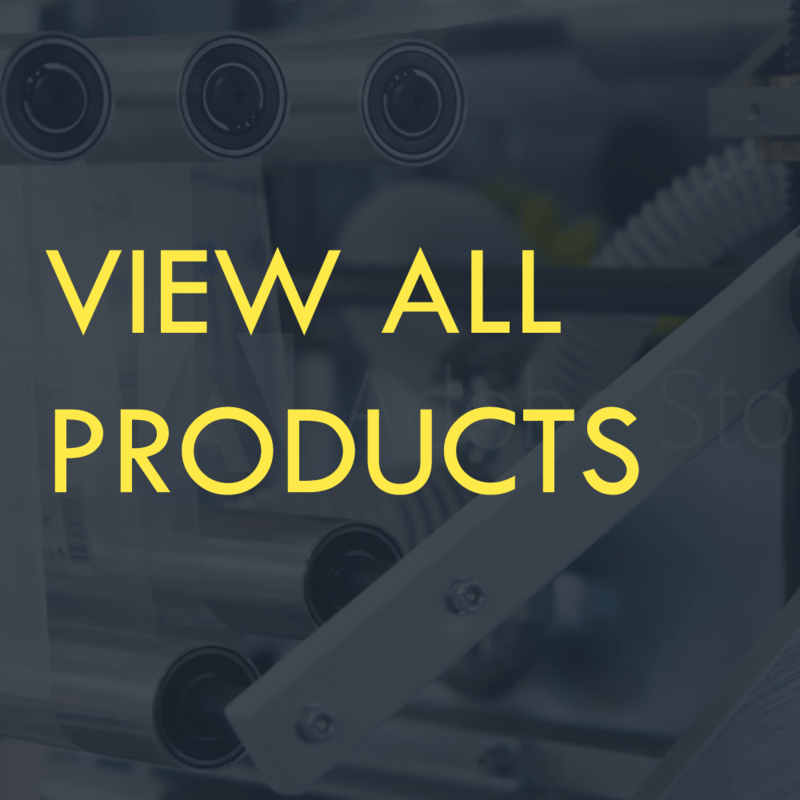 Heavy duty construction and product fixture for consistent label placement. Easy to load and use and requires no operator training or special tools for label changeovers. The Tach-It SH-435 bottle labeler is an easy-to-use economical label applicator for bottles, cans, jugs, and any cylindrical products. 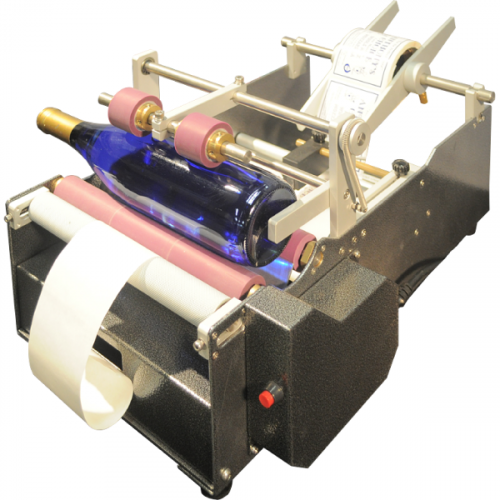 Simply put the bottle into the cradle, press the button, and the label is applied straight and consistently each time. The SH-435 has a spring loaded, overhead pressure arm which keeps light pressure on the container for consistent and secure label placement, has a small table top design, requires no operator training or tools, and has an adjustable product fixture for consistent label placement.